Kay Garrett always knew that her memoir was one that would, much like the rest of her writing, be consumed by the general public. Maybe that’s why by the end of the memoir you really do want to contact Kay and ask her all about the personal details she has omitted, because her friendly first person narrative makes you feel like you’re having a gossip with an old friend. So it’s no surprise that the purpose of this memoir is to entertain, but also to shed light on the typical experiences of a working class woman in 20th century London. Garrett goes on to describe her motives behind penning both this memoir and others that she destroyed. She had the need to help the world overcome the horrors of World War One with words. 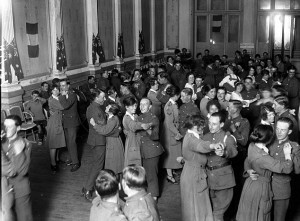 Although her experiences of both World Wars were unique (she spent some of World War One and the inter-war years in Southern Rhodesia). Garrett is aware that her upbringing and education was “normal” (1). She often makes references to the fact that her education was the same as the education in all school in London. Therefore, her work could could be of significance to people who went to school in London during the same era. But there are also some striking differences in Kay Garrett’s autobiography compared to the general themes found in other working class works. For example, David Vincent in his article for the journal, Social History, ‘Love and Death and the Nineteenth-Century Working Class’, states that “the writers seemed to have believed that revelations of marital disharmony or of sexual activity were at the very least undignified, and might well conflict with their deep desire in some way to improve and not degrade their readership” (228). 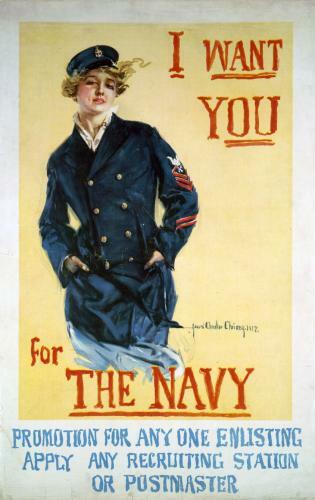 Kay Garrett turns this notion on its head by explaining in explicit detail both the reasons behind her failed marriage and her sexual activities with soldiers in 1916. She even goes so far as saying “we were both virgins… for all the entertainment we received the most we ever allowed any of our escorts was a prolonged (but not too prolonged) good night kiss”(5). As tame as her experiences were during the war, the same can not be said for her male counterparts! 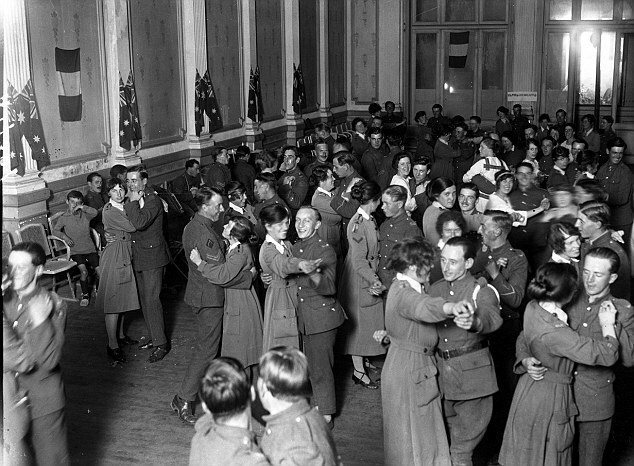 Soldiers and WAACs dancing at the Old Casino at La Touquet . The reasons behind her candid nature could be because Garrett wrote the latter section of her memoir in 1984, in the post-sexual revolution era. Writing with the rose-tinted glasses of hindsight also help frame the colloquial narrative voice of the memoir. With simple sentences for effect and sayings like “I froth at the ears” (11), you’d be forgiven for thinking this was not an autobiography of the 1900s, but a manuscript of a modern day conversation. Overall, it is clear that Kay Garrett knows her audience. She delivers an entertaining memoir with her use of first person narrative and refreshing honesty. But she also draws upon public memory and shared experiences of the era, making it both an enlightening and entertaining read.